When it's time for the kids to go back to school, they're going to need new supplies and clothing. Since you love free sewing patterns (just like we do) we're sharing 6 free sewing patterns for kids that are great for heading back to school! This eBook includes free sewing patterns for beginners, free sewing patterns for kids and even free dress patterns. With the new school year right around the corner, there's little time to waste. That's why you can simply download this eBook, print the instructions and get to sewing! Accessing free sewing projects to make for back to school is no hassle with this free eBook. Download your copy of 6 Free Sewing Projects to Make for Going Back to School today. For parents, family members and students, the start of a new school year is always an exciting time. We encourage people of all ages to sew which is why we've included free sewing patterns for beginners in this eBook. If you're sending a child to school or heading to the classroom yourself, make sure you pack a hearty lunch to remain focused throughout the day. You'll need something like this durable Lunch Sack to store your mid-day meal and snacks. Line your lunch bag with vinyl fabric so it's easy to clean. Use a fun, colorful fabric for the outside of your bag so other students won't mistake it for their own lunchbox. You'll find the pattern for the Lunch Sack on page 5 and from there this eBook packs in more free sewing patterns for kids with a focus on back to school fashion. For little students making their educational debut, the first day of school can be a bit overwhelming. One way to help put their minds at ease, use these free sewing patterns for kids to create the best back to school backpacks on the playground. They'll love arriving to school with their cool fabric bag. Then, they can use this bag to store the work they've completed at school. The Drawstring T-Shirt Bag, found on page 9 of the eBook is easy to make and is the perfect size for kids to hold supplies. They can store their notebooks, pens and schoolwork in this drawstring bag. 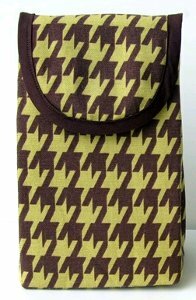 Free purse patterns like this are clean slates and open to personalizing. Once you've assembled the bag you can even let the kids add their own personal touches with fabric pens and stickers. If the kids are getting ready to go back to school, it's time to whip out the sewing machine and get creative! We know that with buying new supplies, coordinating car pools and registering for classes, the beginning of a new school year can be a stressful time. By sewing some of your children's new school wardrobe, you can alleviate some financial stress. Instead of purchasing all new clothing, check out these free clothing patterns. Our back to school eBook delivers free sewing patterns for beginners so even if you're a total novice, you can still benefit from the free clothing patterns presented in this eBook. There's still some time left before the kids need to bundle up in warm sweaters. Let your daughter enjoy the last precious days of sunshine by arriving to school in this adorable Toddler Summer Ruffle Dress, found on page 15. When it comes to back to school fashion, free dress patterns like this are a creative, thrifty way to add to their wardrobes. Our back to school eBook features free clothing patterns so you can make outfits yourself while still sending them to school looking trendy. We've taken a look at some of this year's back to school fashion trends and found ways that you can actually make the items yourself! Finding sewing patterns for boys can sometimes be difficult but with help from this eBook, you can use the free clothing patterns to make back to school fashion for boys. 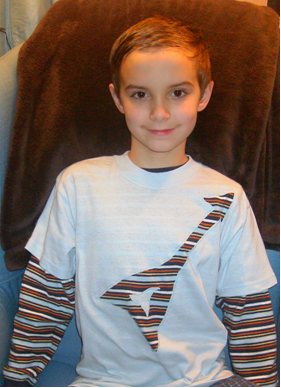 The Reverse Applique Guitar Shirt is a cool and comfy first day of school outfit your son or nephew will love to wear. This simple and fun project, found on page 26, is an example of the free shirt sewing patterns you can find in the back to school eBook. 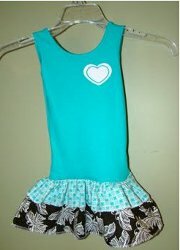 Find other free clothing patterns and especially free sewing patterns for kids in this free eBook. Five weekly emails with free sewing patterns, tips, collection pages, videos and more. As a creative and smart sewist, I know you can see the value in this free ebook. Practice your love for sewing with the free 6 Free Sewing Projects to Make for Going Back to School eBook. Once you subscribe to receive our newsletter, Sewing It Up, you'll see how much fun it is to be a part of our sewing community! If you've ever searched for free sewing patterns, free purse patterns, free clothing patterns or anything in-between, let AllFreeSewing.com deliver quality projects and ideas from talented designers. Check out this free eBook and the AllFreeSewing.com site to draw tons of sewing inspiration! I will have debit card in a couple of weeks, then i can order. school ideal are great, waiting to make table clothes to sell for fundraiser. thanks so much. 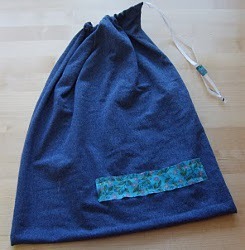 I can't wait to make this lunch bag! Thanks for the ideas!